Historical Marker #2309 in Henderson County commemorates former Kentucky Governor Albert B. "Happy" Chandler. During two terms in the governor's office, Chandler oversaw improvements in schools, roads, health and welfare programs, and penal institutions. Chandler was born on July 14, 1898, near Corydon, Kentucky, to Joseph and Callie Chandler. His childhood, however, was marred with tragedy when his mother abandoned the family when he was a young child. In addition, his only brother was killed when Albert was sixteen. Chandler graduated from Corydon High School in 1917, and enrolled at Transylvania University, where he excelled in football, baseball, basketball, and track. There, he received the lasting nickname "Happy." After earning a bachelor's degree from Transylvania, he enrolled at Harvard Law School, where he studied for a year. In 1925, however, he graduated from the University of Kentucky law school. That same year, Chandler married Mildred Watkins, and they had four children. After law school, Chandler opened his first practice in Versailles. He also assisted high school and college sports teams in the area. 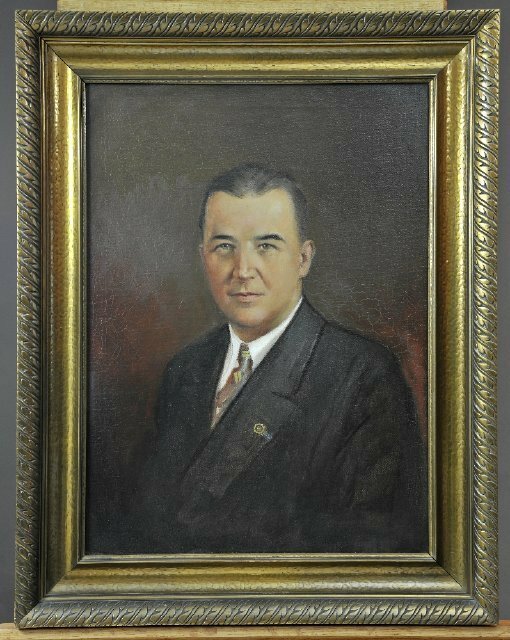 Chandler's career in public office began with his election to the state senate in 1929 and his election as lieutenant governor in 1931. Chandler began his first term as the nation's youngest governor in 1935, and his term was considered to be one of the most productive in the state's history. Reforms during his first term include a free textbook program, participation in a federal rural electrification program, establishment of a teacher's retirement program, along with erasing much of the state's debt. Between gubernatorial terms, Chandler served as a United States Senator and as the national commissioner of baseball. Chandler was overwhelmingly elected to a second term as governor, assuming office in 1955. During this term, major improvements were made in the highway department, as well as public schools. Chandler also made national headlines when he used state police and National Guardsmen to enforce desegregation in the public school system. Chandler died June 15, 1991, at his home in Versailles, but not before publishing his autobiography, "Heroes, Plain Folks, and Skunks." Governor Chandler: A. 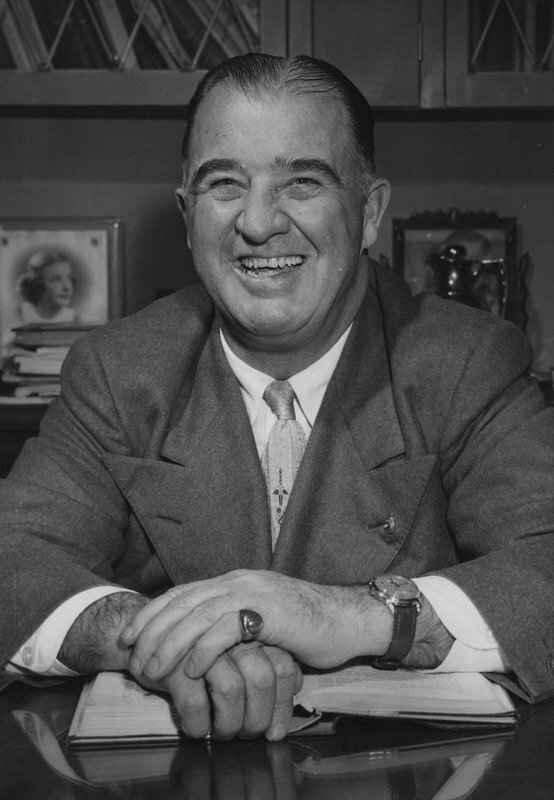 B. Chandler, better known as Happy, was a two-term governor of Kentucky, a US Senator, and commissioner of baseball. 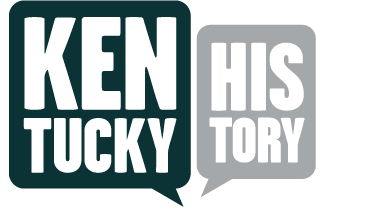 Courtesy of the Kentucky Historical Society. Governor Albert B. "Happy" Chandler: Chandler"s continual jovial attitude earned him his nickname while a student at Transylvania University. Along with being an astute politician, Chandler was commissioner of baseball during its earliest years of racial integration, allowing the Brooklyn Dodgers to give a contract to African American Jackie Robinson. Courtesy of the University of Kentucky. 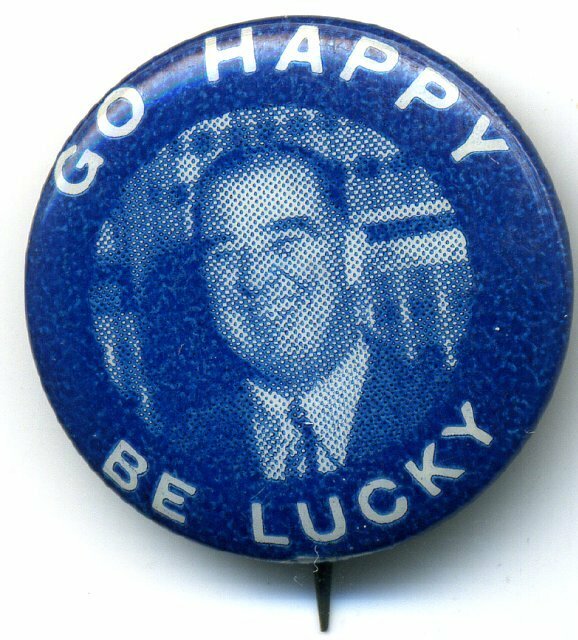 1955 Campaign Button: Buttons like this one were worn by supporters of Happy Chandler in his bid for governor in 1954. Chandler won the governorship twice. Courtesy of the Kentucky Historical Society. 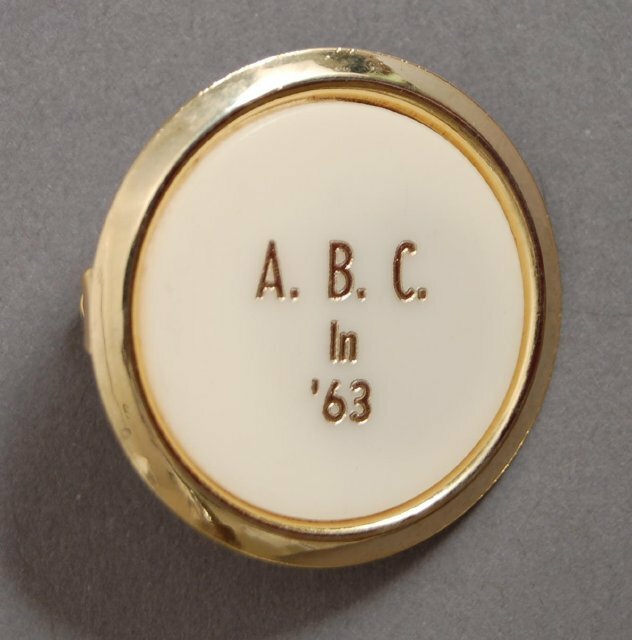 Campaign Tie Clip: This tie clip was used to promote Happy Chandler in the governor's election in 1963. While he served two terms as governor, he had three failed bids for the office in 1963, 1967, and 1971. Courtesy of the Kentucky Historical Society. 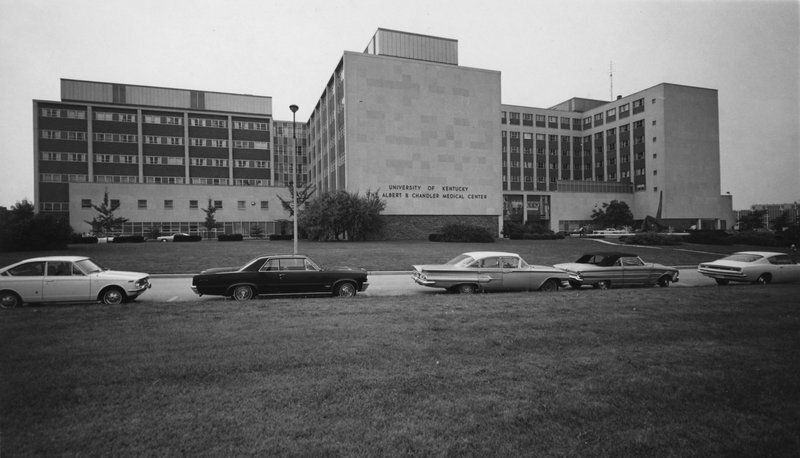 Albert B. Chandler Medical Center: As governor, Happy Chandler played a significant role in the establishment of the University of Kentucky Medical Center that was named in his honor. Courtesy of the University of Kentucky. McKenzie Martin, “Albert B. Chandler,” ExploreKYHistory, accessed April 19, 2019, https://explorekyhistory.ky.gov/items/show/395.